International Women's Day is a global day celebrating the social, economic, cultural and political achievements and contributions of women. The day has been celebrated for well over a century, since 1911 and draws attention to the need for more progressive mindsets, inclusive behaviors and continuous efforts from everyone, everywhere and at every level, to promote women’s equality. Balance is not a women's issue, it's an economic issue. Gender equality and women empowerment are central to the attainment of all the United Nation’s Sustainable Development Goals. This year’s theme, #BalanceforBetter highlights the value that women add to their families, communities, economies, and to the world; as well as the contributions that they can bring to the table if they are given seats. Achieving balance requires that the voices and experiences of both men and women are considered and integrated at the inception of policies, innovations, and programs. No one should be left behind. Here at eHealth Africa, we embrace gender balance and we recognize its role in ensuring that businesses and projects, including ours, thrive. eHealth Africa is an equal opportunity employer and we have put policies in place that support both men and women to achieve their professional and personal goals. Our workplace policies on diversification and maternity leave challenge stereotypes in the workplace and encourage women at every stage of life to maintain the balance between their roles in their personal and professional lives. We are especially proud of the gender balance in our leadership. Our board of directors is 60% female and most members of our senior management team, are women. Today, we recognize and thank the women we have worked with—the mothers who take their children to the health facilities we support, the female health workers who mobilize them, our staff at our country offices who create tools for collecting and analyzing reliable, real-time data and the women in governments across Africa, who plan programs and formulate policies that shape health systems. We can all do something to support gender balance for a better world. Put your hands out and strike the #BalanceforBetter pose, as we celebrate women all over the world! 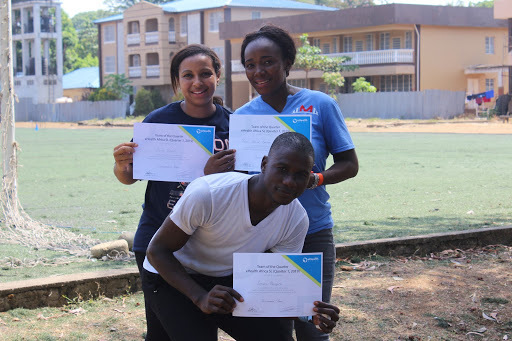 eHealth Africa (eHA) is supporting data collection on the prevalence of Hepatitis B in the Bo and Bombali districts, and Western Urban area in Sierra Leone, through its Hepatitis B Sero Survey project. U.S. Centers for Disease Control and Prevention (CDC) is funding this project. A Sero Survey is a test of blood serum from a group of individuals to determine seroprevalence. The African Regional Committee of the World Health Organization in 2014, endorsed a resolution to reduce chronic Hepatitis B virus (HBV) infection prevalence to <2% in children less than 5 years of age in all member states by 2020. In Sierra Leone, there is no accurate data on Hepatitis B Virus (HBV) infection among children and women of childbearing age. Hence the need for a survey to determine the prevalence of HBV infection among infants, children and women of childbearing age in order to inform the HBV vaccination policy of Sierra Leone. In 2007, the country introduced the Hepatitis B vaccine as a component of the pentavalent vaccine provided at 6, 10 and 14 weeks of age. However, a birth dose of Hepatitis B vaccine recommended by WHO to prevent mother - to - child HBV transmission is not yet included in the routine immunization schedule. The Hepatitis B community serosurvey conducted in the 3 districts, targeted some 2,544 infants aged 4- 24 months and their biological mothers to evaluate the risk of mother to child transmission and subsequent need for a Hepatitis B vaccine birth dose; and also 2,332 children aged 5- 9 years to assess the impact of childhood pentavalent vaccine on the prevalence of Hepatitis B virus infection among children. As part of the training, a practical field exercise was also conducted to pretest participants’ knowledge on the classroom training. eHA is a technology-driven organization. 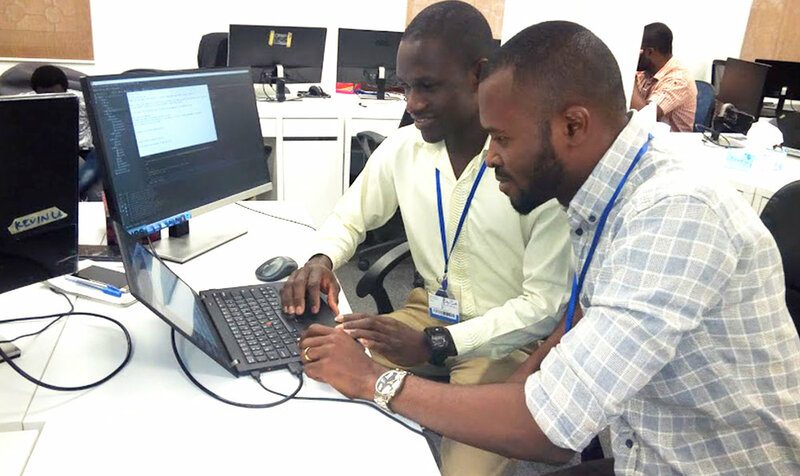 In a drive to discourage potential errors via paper-based methods and to present an automated approach to health data collection, eHA also trained supervisors and phlebotomists on the use of the Open Data Kit (ODK) tool. 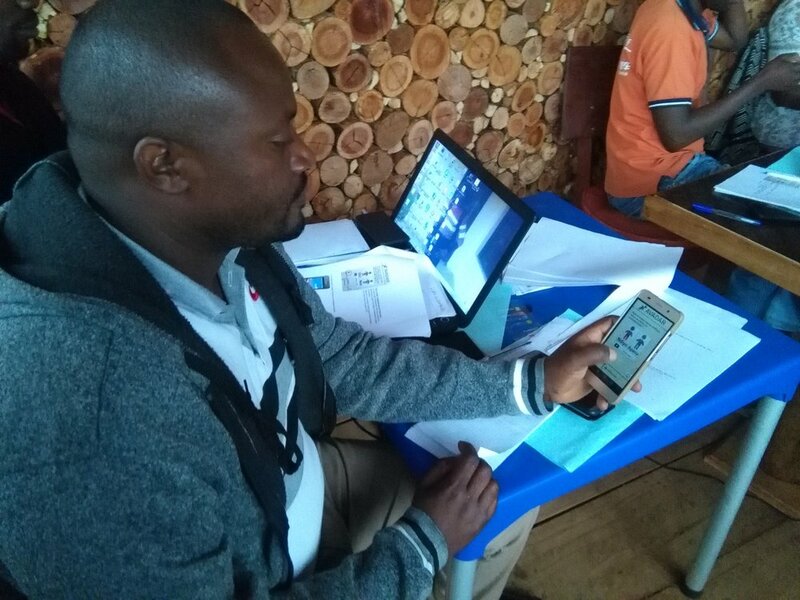 eHA provided the phones and data for the survey and installed the ODK app (which is used for data collection in the field), the age= app for age calculation, and the ODK dashboard. With ODK, data collection is done easily, and survey activities monitored in near real time. 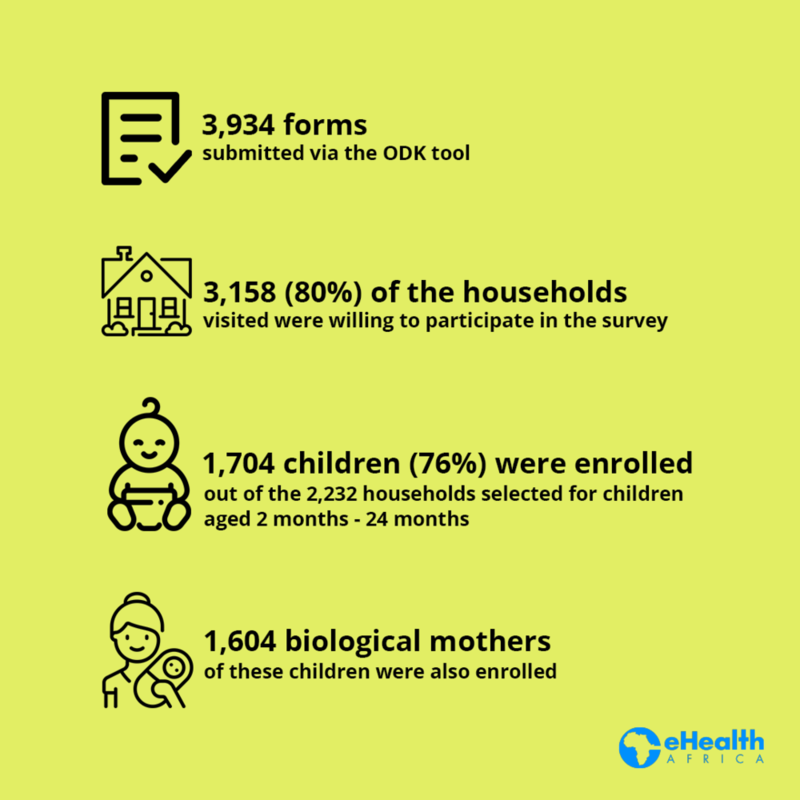 A total of 3,934 forms were submitted via the ODK tool of which 3,158 (80%) of households visited were willing to participate in the survey. Out of the 2,232 households selected for children aged 2 months - 24 months, 1,704 children were enrolled which is 76% and 1,604 biological mothers of these children were also enrolled. For the 5-9 year-olds, out of the 2,250 households selected, 80% participated with 1,811 enrolled. For children with vaccination cards, 1,186 were enrolled and 401 for the 5- 9 year- olds. A total of 551 serum samples were collected during the 6-week community serosurvey. 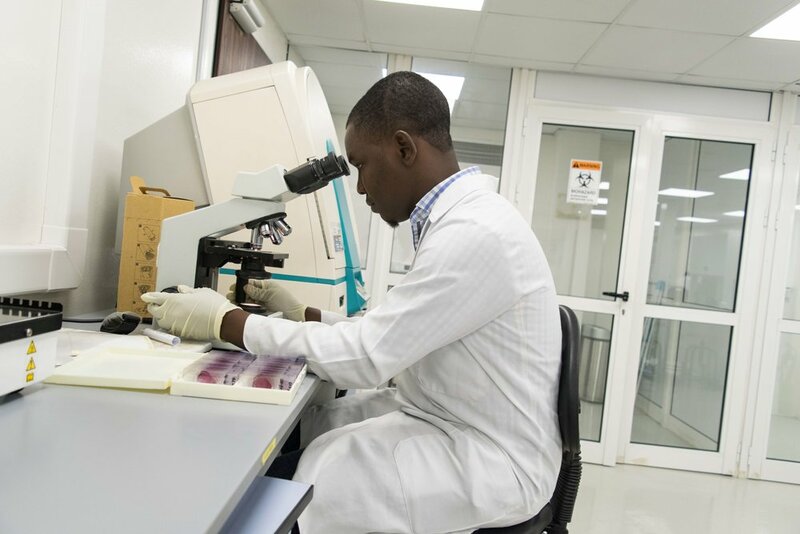 eHA continues to work with the CDC and other partners with a view to increasing the early detection and reporting of government-identified priority diseases, especially when very little is known about HBV prevalence in Sierra Leone. 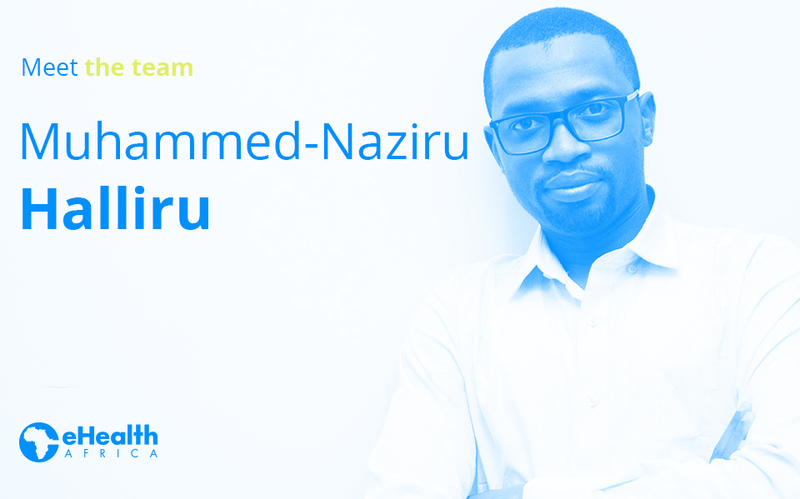 Meet Ori Okibe, the Operations Administration Coordinator at our head office in Kano. She joined eHealth Africa over five years ago as the Administrative Coordinator of the Sokoto State Polio Emergency Operations Center (PEOC), where she provided administrative support to the EOC team and partners. In no time, she rose to become the State Manager of the PEOC where she managed the daily operations of the EOC including staff, fleet, and other assets. Currently, she supervises the administrative and operational activities of the procurement, warehouse and logistics team. She is in charge of managing vendors according to master service agreements and ensuring that the procurement and supply chain team meets delivery deadlines. Recently, Ori worked with the team responsible for the renovation of three zonal offices of the National Primary Health Care Development Agency (NPHCDA) in Bauchi, Kano and Niger states. Ori is most proud of the role that she and her team played in the containment of the Ebola Virus disease outbreak in Lagos State in 2015. Some of her other achievements include managing the initial setup of the Sokoto Meningitis Lab by ensuring that all logistics, travel, and procurement needs were met. Ori credits eHA with giving her and other staff opportunities to discover and showcase competencies which they may never have discovered otherwise. In recognition of her dedication and service towards the eradication of Polio in Sokoto State, she and nineteen other recipients in Nigeria were presented with the Rotary International Meritorious Award for Polio Service in 2018. We are proud to have Ori on our team. If you would like to join us, please visit our careers page. An often neglected aspect of executing health projects or interventions is the availability of functional infrastructure. A comfortable working environment and the availability of work tools such as internet and communication systems have a positive impact on employee performance and increase work productivity. eHealth Africa collaborates with partners to design, build, restore and maintain diverse sites and facilities. With funding from the Bill and Melinda Gates Foundation (BMGF) and in partnership with the National Primary Health Care Development Agency (NPHCDA), we renovated the administrative block of three NPHCDA zonal offices in Kano, Minna and Bauchi states in 2018. The focus of this renovation was on alleviating the perennial problem of insufficient workspaces and power outages which have hindered staff from delivering on tasks. The administrative offices were fitted with new work tables, chairs and office equipment. The reception area and the conveniences were also refurbished. eHealth Africa renovated a thirty-seater conference room and fitted it with audio and video conferencing technologies like microphones and a projector system. eHA also upgraded the IT facility in these facilities, installing a state of the art data/ server system. In addition, an off-grid hybrid (Solar and wind) power system was installed to provide 24-hour electricity. Solar panels are a cost- effective electricity source that will not be financially burdensome on the agency in the long- run. 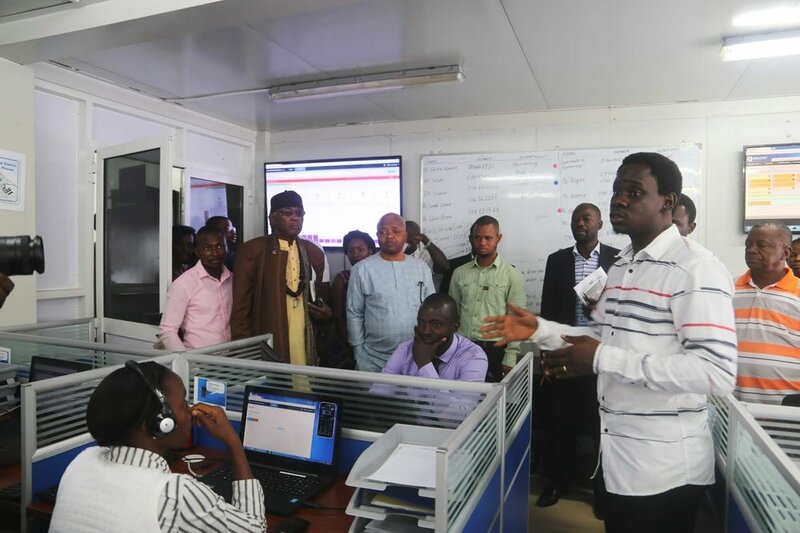 On the 18th of December, 2018, the staff of the Kano Zonal NPHCDA office moved into the newly renovated office. eHealth Africa also conducted a technical know-how/ product knowledge training for relevant staff at the Kano zonal office to enable them configure, use and properly use the IT facilities. Are you interested in our infrastructure services? Click here to read more. According to the U.S. Centers for Disease Control and Prevention (CDC), Nigeria alone accounts for more than 100,000 new sickle cell births every year1. Statistics from African region of the World Health Organization (WHO) puts the prevalence of the Sickle cell trait in Nigeria at 20% to 30%2. In sub-Saharan Africa, very few control programs exist and those that do exist, lack national coverage or the facilities to manage patients. Proactive, routine screening for sickle cell disease is not common practice so diagnosis is usually made when a severe complication occurs. At eHealth Africa, we aim to improve the quality and availability of healthcare for underserved populations and to increase access to timely and quality diagnostic services. 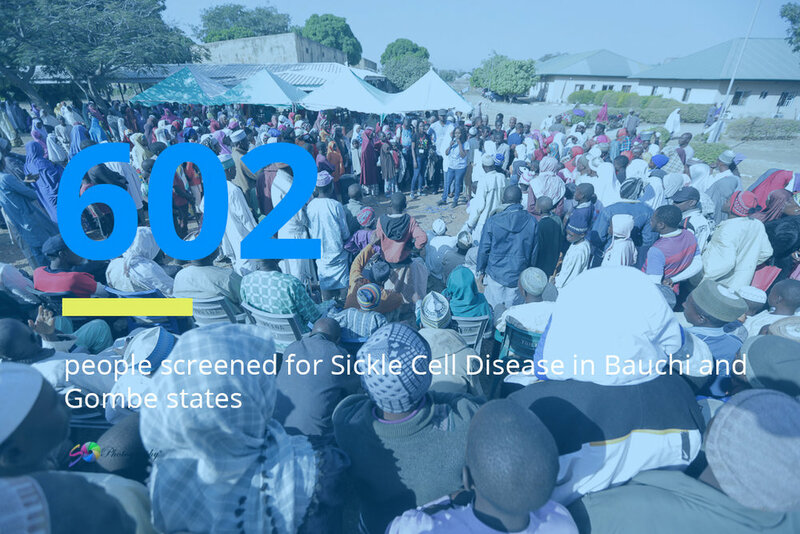 We partnered with Sickle Cell Well Africa Foundation (SCWAF), Pro-Health International and the Presidential Committee on the North- East Initiative (PCNI) to hold a two-week outreach in Bajoga LGA, Gombe state, and Toro LGA in Bauchi State from the 2nd-16th December 2018. The team hosted community and school outreaches in both LGAs. Beneficiaries of the outreaches in both LGAs were educated about Sickle Cell Disease (SCD), inheritance, signs and symptoms, and the importance of genotype testing for SCD and prevention. Free genotype tests were conducted using the Sickle Scan Rapid Test Kit. Patients who tested positive for SCD and those who presented with severe complications were given routine medication, advised on first-level crisis management and referred to tertiary hospitals. eHealth Africa captured, stored and analyzed the results of the tests. The analyses provided insight into the geographic distribution of patient and the average age distribution of patients who tested positive for SCD and the categories of complications presented at the outreach. 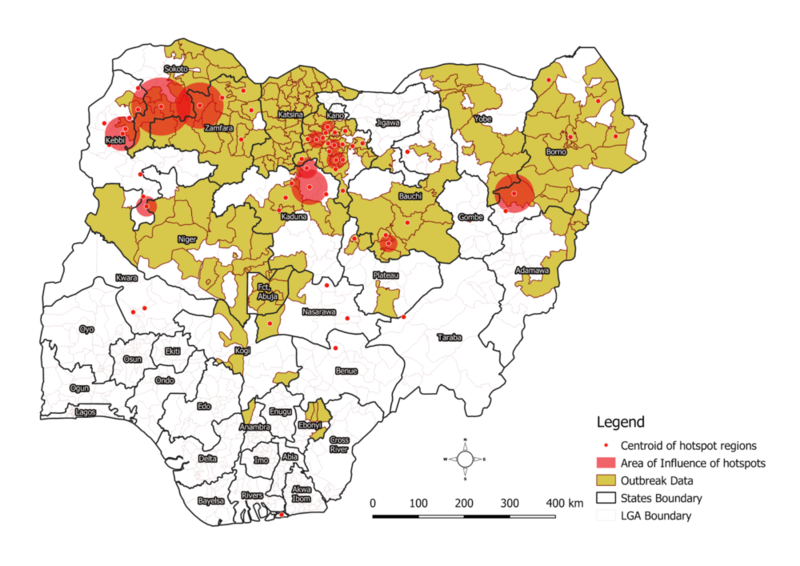 eHealth Africa, Pro-Health and SCWAF presented these results at stakeholder meetings in both states and provided evidence-based recommendations to enable the states to tackle Sickle Cell Disease. Going forward, eHA intends to work with Pro-Health to develop a comprehensive data collection tool which will support tracking and follow up of SCD patients in Prohealth Sickle Cell Clinics.